The Worst Beverages in America – A revolutionary new approach to fitness, sport, and health instruction. 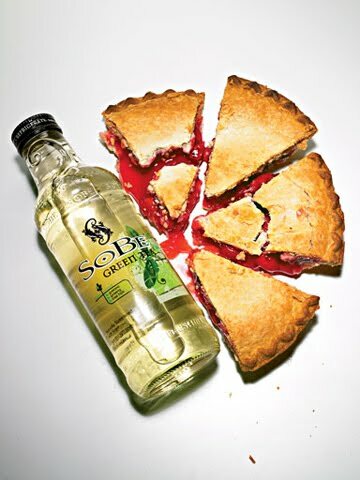 Leave it to SoBe to take an otherwise healthy bottle of tea and inject it with enough sugar to turn it into dessert. The Pepsi-owned company’s flagship line, composed of 11 flavors with names like “Nirvana” and “Cranberry Grapefruit Elixir,” is marketed to give consumers the impression that it can cleanse the body, mind, and spirit. Don’t be fooled. Just like this bottle of green tea, all of these beverages are made with two primary ingredients: water and sugar. 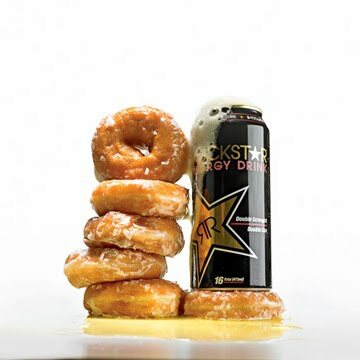 None of the energy provided by these full-sugar drinks could ever justify the caloric load, but Rockstar’s take is especially frightening. One can provides nearly as much sugar as half a box of Nilla Wafers. In fact, it has 60 more calories than the same amount of Red Bull and 80 more than a can of Monster. If you’re going to guzzle, better choose one of the low-cal options. We like Monster; it offers all the caffeine and B vitamins with just enough sugar to cut through the funky extracts. With an unreasonable number of calorie landmines peppered across Starbucks’ in-store menu, you’d think the company would want to use its grocery line to restore faith in its ability to provide caffeine without testing the limits of your belt buckle. Guess not. This drink has been on our radar for years, and we still haven’t managed to find a bottled coffee with more sugar. Consider this—along with Starbucks’ miniature Espresso and Cream Doubleshot—your worst option for a morning pickup. Wait . . . but aren’t all sodas equally terrible? It’s true they all earn 100 percent of their calories from sugar, but that doesn’t mean there aren’t still varying levels of atrocity. Despite the perception of healthfulness, fruity sodas tend to carry more sugar than their cola counterparts, and none make that more apparent than the tooth-achingly sweet Sunkist. 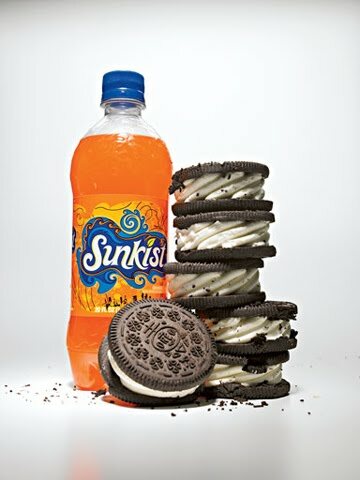 But what seals the orange soda’s fate on our list of worsts is its reliance on the artificial colors yellow 6 and red 40—two chemicals that may be linked to behavioral and concentration problems in children. 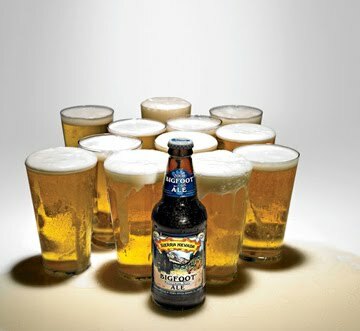 Most beers carry fewer than 175 calories, but even your average extra-heady brew rarely eclipses 250. That makes Sierra’s Bigfoot the undisputed beast of the beer jungle. Granted, the alcohol itself provides most of the calories, but it’s the extra heft of carbohydrates that helps stuff nearly 2,000 calories into each six-pack. For comparison, Budweiser has 10.6 grams of carbs, Blue Moon has 13, and Guinness Draught has 10. Let’s hope the appearance of this gut-inducing guzzler in your fridge is as rare as encounters with the fabled beast himself. 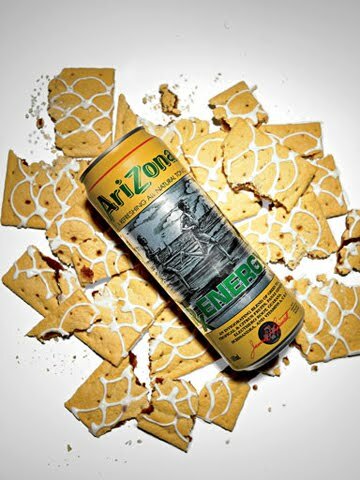 Obviously Arizona took great pains in making sure this can came out looking like something you’d find in a pharmacy. But if your pharmacist ever tries to sell you this much sugar, he should have his license revoked. And if it’s energy you’re after, this isn’t your best vehicle. Caffeine is the only compound in the bottle that’s been proven to provide energy, and the amount found within is about what you’d get from a weak cup of coffee. 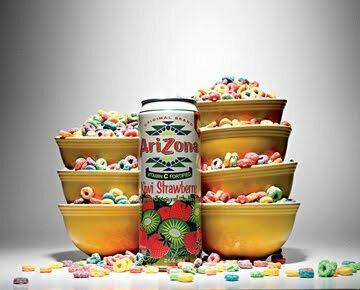 The twisted minds at the Arizona factory outdid themselves with this nefarious concoction, a can the size of a bazooka loaded with enough of the sweet stuff to blast your belly with 42 sugar cubes. The most disturbing part isn’t that it masks itself as some sort of healthy juice product (after all, hundreds of products are guilty of the same crime), but that this behemoth serving size costs just $.99, making its contents some of the cheapest calories we’ve ever stumbled across. Hopefully this will dispel any lingering fragments of the “health halo” that still exists in coffee shops—that misguided belief that espresso-based beverages can’t do much damage. 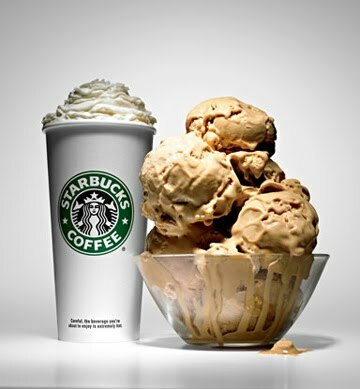 In this 20-ounce cup, Starbucks manages to pack in more calories and saturated fat than two slices of deep-dish sausage and pepperoni pizza from Domino’s. That makes it the equivalent of dinner and dessert disguised as a cup of coffee. If you want a treat, look to Starbucks’ supply of sugar-free syrups; if you want a caffeine buzz, stick to the regular joe, an Americano, or a cappuccino. There is no such thing as healthy lemonade, but Auntie’s line of Lemonade Mixers takes the concept of hyper-sweetened juice and stretches it to dangerous new levels. See, sugar digests faster than good-for-you nutrients like protein and fiber, which means it’s in your blood almost immediately after you swallow it. Drinking the 3 or 4 days’ worth of added sugar found here jacks your blood sugar and results in strain to your kidneys, the creation of new fat molecules, and the desire to eat more. Ouch. See that stack of Rice Krispie Treats? It’s just three treats shy of two full boxes. Unless you were a contestant on Fear Factor—and there was a sizeable monetary prize on the line—you’d never even consider noshing down that much sugar at once. 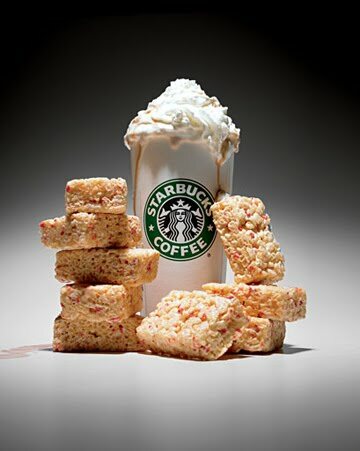 But here’s what’s interesting: While that stack is the sugar counterpart to this atrocity from Starbucks, it still has 40 percent less saturated fat. Makes us wonder what’s going on in the hot chocolate. Stick to beverages with single-flavor profiles instead of pile-on recipes like this and you’ll fare better every time. 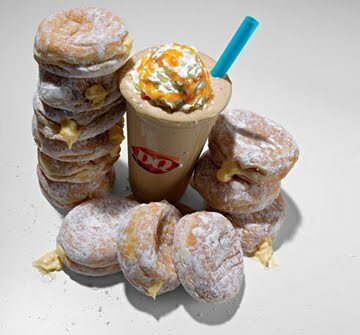 Coffee-dessert hybrids are among the worst breed of beverages. 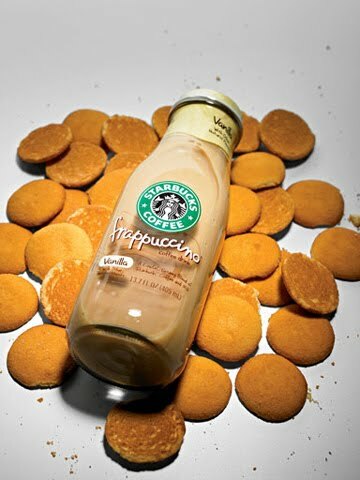 This one delivers 1 gram of fat and 4.6 grams of sugar in every ounce, making even Starbucks’ over-the-top line of Frappuccinos look like decent options. Maybe that’s why DQ decided to give it a name that alludes to the animal it promises to turn you into. If you can bring yourself to skip DQ and head to a coffee shop instead, order a large iced latte with a couple shots of flavored syrup and save some 600 calories. But if you’re stuck where you are, you’re better off pairing a small treat with a regular cup of joe. Of all the egregious beverages we’ve analyzed, the Lobsterita surprised us the most. 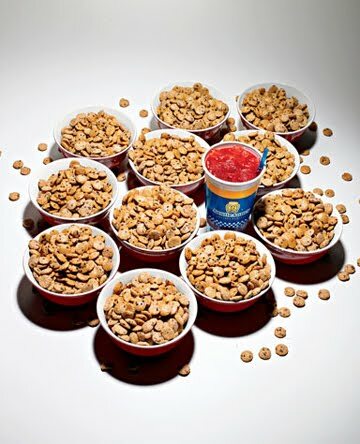 The nation’s biggest fish purveyor is one of the few big players in the restaurant biz to provide its customers with a wide selection of truly healthy food options. We would hope they’d do the same with the beverages, but obviously not. Drink one of these every Friday night and you’ll put on more than a pound of flab each month. 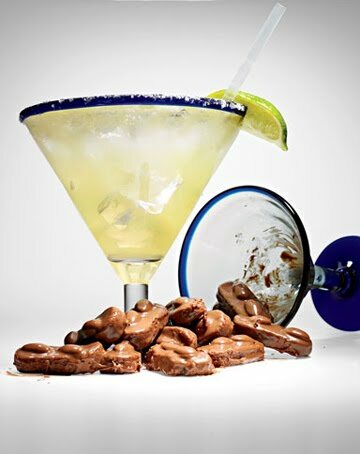 Downgrade to a regular margarita on the rocks and pocket the remaining 640 calories. Done right, an ice cream float can be a decent route to indulgence. Go to A&W and you’ll land a medium for fewer than 400 calories. Order it with diet soda and you’ve dropped below 200 calories. 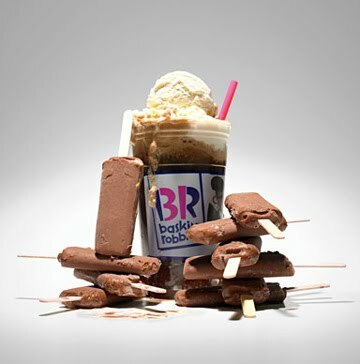 So why can’t Baskin-Robbins make even a small float with fewer than 470 calories? Because apparently the chain approaches the art of beverage-crafting as a challenge to squeeze in as much fat and sugar as possible. Whatever you order, plan on splitting it with a friend. 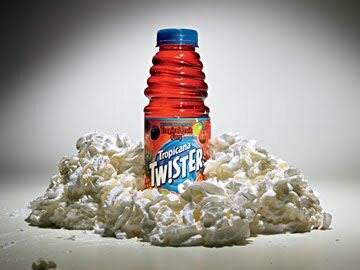 Imagine taking a regular can of soda, pouring in 18 extra teaspoons of sugar, and then swirling in half a cup of heavy cream. Nutritionally speaking, that’s exactly what this is, which is how it manages to marry nearly 2 days’ worth of saturated fat with enough sugar to leave you with a serious sucrose hangover. 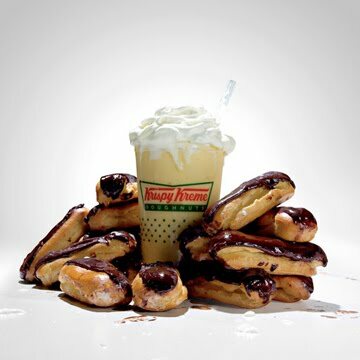 Do your heart a favor and avoid any of Krispy Kreme’s “Kremey” beverages. The basic Chillers aren’t the safest of sippables either, but they’ll save you up to 880 calories. 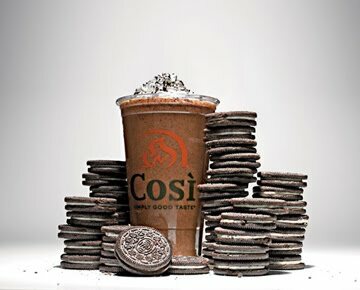 A frozen mocha will never be a stellar option, but we’ve still never come across anything that competes with this cookie-coffee-milkshake hybrid from Così. Essentially it’s a mocha Blizzard made with Oreo cookies and topped with whipped cream and an oversize Oreo. The result is a beverage with more calories than two Big Macs and more sugar than any other drink in America. 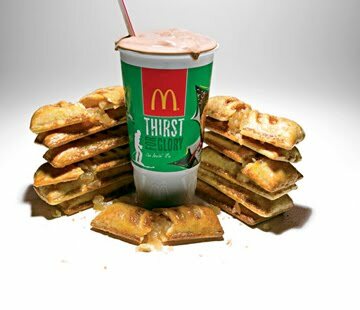 There are very few milk shakes in America worthy of your hard-earned calories, but few will punish you as thoroughly as this Mickey D’s drive-thru disaster. Not only does it have more than half your day’s caloric and saturated fat allotment and more sugar than you’d find in Willy Wonka’s candy lab, but Ronald even finds a way to sneak in a full day of cholesterol-spiking trans fat. The scariest part about this drink is that it’s most likely America’s most popular milk shake. If Smoothie King wants someone to blame for landing this high on our worst beverages roundup (and truth be told, its entire menu is riddled with contenders), the chain should point the smoothie straw at whichever executive came up with the cup-sizing structure. 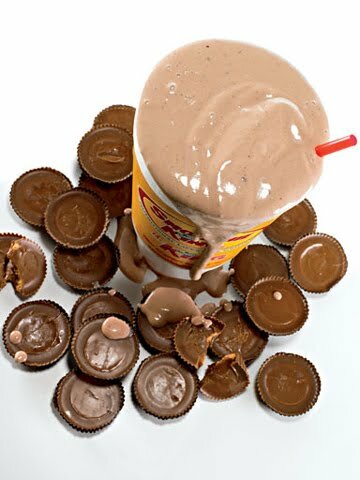 Sending someone out the door with a 40-ounce cup should be a criminal offense. Who really needs a third of a gallon of sweetened peanut butter blended with grape juice, milk, and bananas? Sugar-and-fat-loaded smoothies like this should be served from 12-ounce cups, not mini kegs. In terms of saturated fat, drinking this Cold Stone catastrophe is like slurping up 68 strips of bacon. Health experts recommend capping your saturated fat intake at about 20 grams per day, yet this beverage packs more than three times that into a cup the size of a Chipotle burrito. 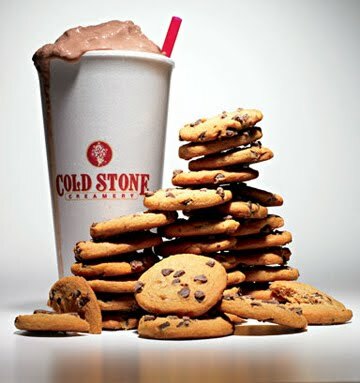 But here’s what’s worse: No regular shake at Cold Stone, no matter what the size, has fewer than 1,000 calories. If you must drink your ice cream, make it one of the creamery’s “Sinless” options. Otherwise you’d better plan on buying some bigger pants on the way home. And sugar equivalent is certainly not the same as caloric equivalent. OMG! This was really eye openning and there are three drinks on the list that I do much more often than I care to admit. I think I will take fewer trips to the mall and kill two birds with one stone. 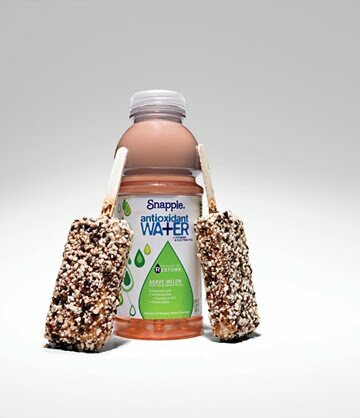 This would be better of all of the “drink this instead” were actually similar to the original. Some are, but many are not. Only truly ingenious people can come up with a theme like that. Thanks for making my day. I’ll be back for sure. ummm… sierra nevada’s big foot may be packed with calories but PLEASE dont ever ask me to swap out my sierra for a leinenkugel!!! someone would lose a finger. These two beers dont even compare. Next Next post: How do the French Stay Slim?